Perhaps one of the most exciting developments in gaming technology last year was the release of virtual reality headsets like the Oculus Rift, HTC Vive and PlayStation VR. This no doubt is a new way to experience games by bringing people closer to the action, and some pundits have predicted that VR might even be the future of gaming. The truth is, though, that the VR experience has not been stellar to date. Aside from the cost attached to headsets like the Vive or the Rift, there have been complaints regarding the fact that these headsets are not as comfortable to wear as many would like, while the lack of a “killer app” for VR gaming is likely still hurting sales of even the more affordable PlayStation VR headset. Because the truth is that aside from some good games like EVE Valkyrie and Rez Infinite, there has not been a great VR game to date, even if Resident Evil 7’s VR mode did give some people reasons to buy a VR headset, with Capcom’s horror video game being one of the few to truly offer a good virtual reality experience, albeit with a few issues. This could change in 2017, though, as developer Bethesda is working on a VR version of their acclaimed 2015 post-apocalyptic RPG Fallout 4. 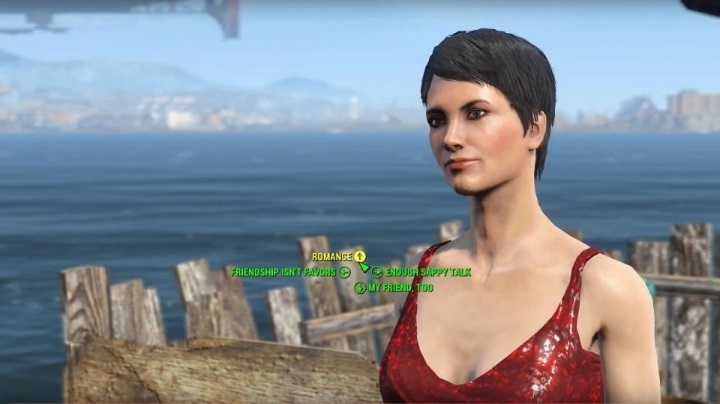 And Fallout 4 surely was one of 2015’s best games, with a great cast of characters and an expansive post-apocalyptic wasteland to explore packed with quests and things to do. The game also has its share of spectacular views and impressive sights in its ruined but appealing landscape, and surely is a game that would lend itself well to the VR treatment. 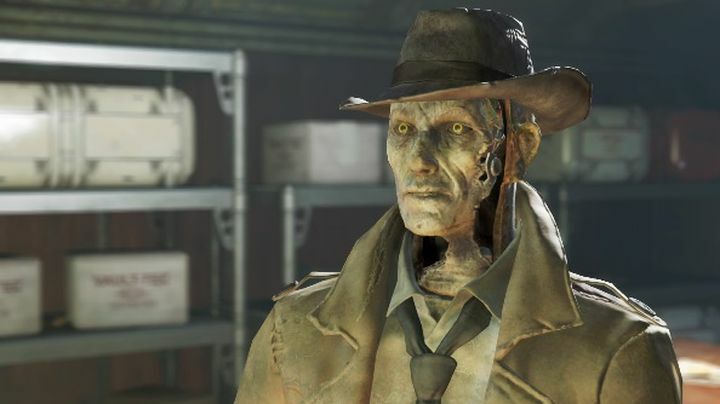 Will Fallout 4 characters like Valentine look even cooler in VR? Also, this is a game that a lucky few will be able to take a peek at this year’s E3 show in Los Angeles (which is open to the public for the first time this year). This is because Hines made it clear in the interview that Fallout 4 VR will be shown off during Bethesda’s press conference at the show, meaning we will get a glimpse at what could end up being the first great VR game this year. But the thing is, will Fallout 4 VR be actually any good? It’s clear that in order to succeed, Bethesda’s latest game has to overcome some of the hurdles associated with VR gaming, including the dreaded motion sickness. Actually Pete Hines of Bethesda himself said he doesn’t engage much in VR gaming due to this issue, while he is not that optimistic about the technology taking over the gaming landscape in the future either as he admits in the interview video below. Plus, Fallout 4 VR is currently slated for a PC release and will initially only support the HTC Vive. This is currently the most expensive VR headset on the market right now, meaning that it’s likely Bethesda doesn’t expect to sell that many copies of this VR edition of Fallout 4. But given that Fallout 4 VR was announced at last year’s E3 during Microsoft’s presentation of the Scorpio, the game is likely to hit that console as well, and will probably make it to other VR gaming headsets such as the Oculus Rift in due time. So Fallout 4 might not revolutionize the VR market in 2017, but will still give those who forked out for expensive virtual reality equipment a chance to show off their gear. And we will also get a chance to see whether a complex RPG like Fallout 4 can truly shine in VR, or whether this will end up being the last nail in the coffin for virtual reality gaming, and the technology ends up disappearing a couple of years down the line.